Keep yourself and your family healthy with our comprehensive immunizations and injections services. Our Pharmacists have obtained their Injection Certification with the Alberta College of Pharmacists and are fully qualified to administer injections. No prescription? No problem! 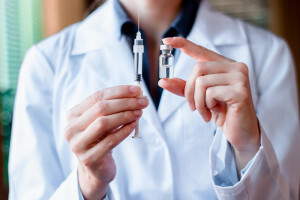 Our pharmacists with APA (Additional Prescribing Authorization) will make a full assessment of your health and vaccine history and prescribe and inject any immunizations suitable for you. Saving you time going back to your physician’s office. And many more! Visit or contact us today to learn more.